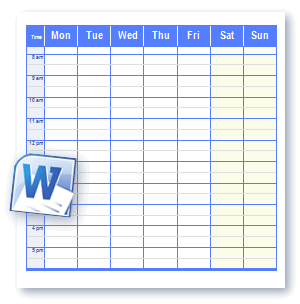 All schedule calendars are expertly designed for easy editing and printing. For additional layouts see links on the left. Above are Schedule Templates for download in Word and Open Office format. These files are also compatible with Google Docs and many other word processors. See also Schedules in Microsoft Excel and PDF format. Need a more automated way of creating calendar schedules? With WinCalendar you can import calendar data from Outlook Calendar, Google Calendar & Yahoo calendar to Word & Excel in similar layouts to the free files on this site.